The latest plans for a redesign of Lincoln Road were unveiled this week. James Corner Field Operations, the New York landscape architects responsible for the High Line in New York City, has been working on the Lincoln Road Master Plan for 2 ½ years with construction now finally in sight. Corner discussed the most recent plans with the community Wednesday night. Improvements will be made from Washington to Lenox Avenue with a few smaller pockets just off Lincoln Road also included. Corner describes the area currently as rundown with too much clutter. 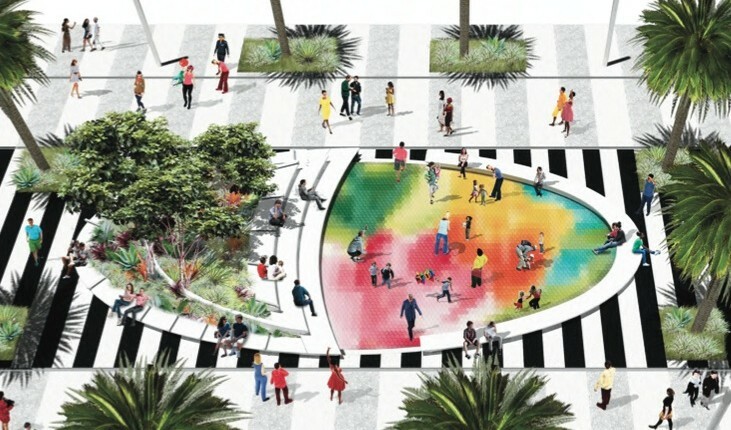 The Master Plan design seeks to “bring it back to life” with features that are “inspired by [Lincoln Road’s] unique history and character”. Under the plan, café seating will be organized in a way that gives more space to pedestrians and further opens up the storefronts. With a cohesive design of walkways and layout in the middle, there will be an emphasis on the “gateways” at each end. Corner envisions retrofitting and lighting up the Morris Lapidus-designed “follies”, making them more visible and accessible. 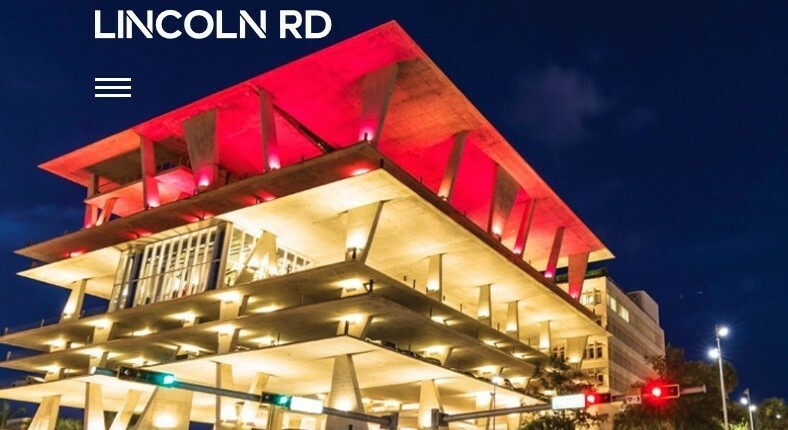 The goal, he says, is to open it up, make it more flexible while echoing the history of Lincoln Road, improving safety and adding new spaces that create a “cool edge”. The sidewalk will be built to one level, making it ADA compliant and providing for better drainage as well as using consistent materials from end to end. The black and white piano keys that are painted now will be replaced with concrete aggregate to give them a permanent black and white color, requiring less maintenance. The remaining sidewalk area will be shades of gray providing a “minimal, elegant, sophisticated, simple palette,” according to Corner. In response to earlier concerns that a shade trellis for the gateway off of Collins was too large, it has been scaled back in the second phase, and more trees retained, creating a “light-filled plaza”. “We want a new Lincoln Road that everyone can be proud of,” Corner concluded. The design phase is scheduled to be complete by this June with construction documents completed by next March. Construction is anticipated to begin in May 2018 though no schedule has been created as yet. The City’s management team has just gotten involved in the process and is now working to determine the most efficient construction scheduling for the least disruption. View the latest plans here.